Well Will, this is indeed a very exciting discovery and I am very glad you asked this question so soon after the announcement. For those of you who are not aware of this, a group of stem cell biologists led by Shoukhrat Mitalipov at the Oregon Health and Science University were able to recently clone a human embryo and make it divide. This had never been done previously and has been a long standing hurdle in the stem cell world. Previously, stem cells were had to either be harvested from fertilized embryos, growing fetuses, or somehow created or harvested from the blood or other organs. By having a cloned embryo grow normally, a near endless supply of genetically identical stem cells can be created from it. This would allow for custom stem cell sources that are completely compatible with an individual’s own cells, with potential to create new tissues and organs without the fear of rejection. Now that we have the run down without much explanation, let’s dig into a few of the details. First, let’s define what a stem cell actually is. Many of us are familiar with the term “stem cell” but are lost on their source, function, and overall role in the big picture. A stem cell is, at its core, a cell that creates other cells. When the human egg is first fertilized, it is a single cell and must divide many, many times to create the miniature human that emerges on the other end roughly 40 weeks later. All of these early cells are stem cells, which divide constantly, eventually taking shape as the many different tissues and organs we see as the end product. Once we are born, we still have many stem cells within our bodies. These cells are responsible for replacing tissues that are constantly lost or turned over. Bone marrow, for example, is filled with stem cells responsible for the many different types of blood cells. In the absence of stem cells to replace them, somatic (normal body cells) have varying rates of replication, with most only rarely, if ever, doing so. However, not all stem cells are created equally. There are five major categories of stem cells: totipotent, pluripotent, multipotent, oligopotent, and unipotent. Totipotent stem cells are able to transform into any type of cell at any stage of development and are reflective of the cells present in our earliest developmental stages. Pluripotent stem cells all of the cell types present in the three germ layers, but cannot form the trophoblast. This means that the cell can produce any organ or tissue in the body (all organs and tissues come from one of the three germ layers), but can’t produce the cell layer necessary for implantation. Aside from trophoblast formation, totipotent and pluripotent cells have the same cell forming capacity. Multipotent stem cells are more restricted than pluripotent ones. They can transform into a variety of cell types but they are all normally related (ie. multiple different types of blood cells). Multipotent cells cannot transform into other types of tissues, but instead have a span of diversity across a given type. Following this line of reasoning, oligopotent stem cells are able to create an even more narrow set of cells, but can still create multiple different types. Like multipotent, oligopotent cells are restricted to related cells, but now the relation must now be much closer; for example, a given oligopotent stem cell could only create certain types of bone cells but not all of the cells responsible for a complete bone. Finally, unipotent cells only create one type of cell directly. It is at this point then that we must make a change in our nomenclature to reflect the differences. While “stem cell” is used informally to refer to all types, each type has a particular name. Totipotent and pluripotent stem cells are the true stem cells and from now on will be the only cells referred to as such. Multipotent and oligopotent cells are known as progenitor cells and unipotent cells are known as precursor cells. While progenitor and precursor cells are extremely important to body function and absolutely have therapeutic value in their own right, this discussion focuses directly on stem cells so we will have to cast those aside for the time being. So, returning back to the discovery, the method used was relatively simple (though obviously in real life it was incredibly complicated and took many years). This method, called somatic cell nuclear transfer (SCNT), involves removing a human egg cell’s nucleus and replacing it with that of a somatic cell. Given that an egg cell is normally unfertilized, it only comes with half the required genetic material. However, the other mechanisms involved in division and production of new cells are still active. By replacing the original nucleus with the somatic nucleus, which has the correct amount of genetic material, these mechanisms can be utilized without having to actually fertilize an egg. Prior to this study, most cells created this way could not get very far past the 8 cell stage for unknown reasons. Thus, the successful production of embryonic pluripotent stem cells by SCNT required an alteration of the given protocol. Interestingly enough, the addition of caffeine to the existing protocol (the exact details of which are not important) proved to be the major break through. 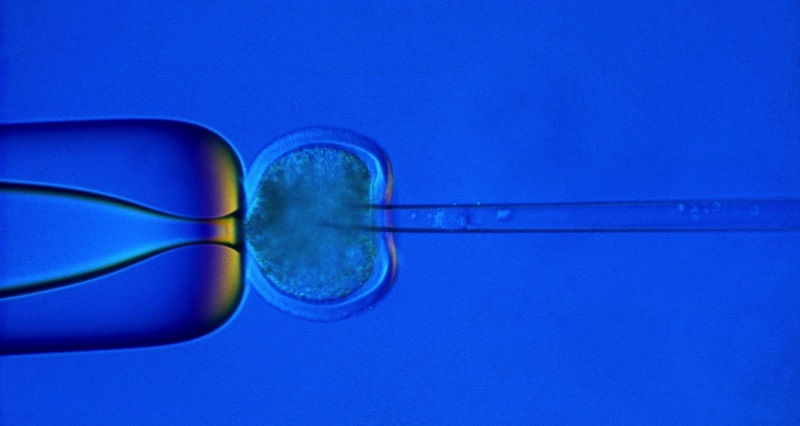 Repeated experiments presented in the paper demonstrate that the protocol is reproducible using at least a small number of different cell types and with different egg donors, which is an important element for determining its applicability. Clearly, this discovery could pave the way for the possibility of tremendous advances in regenerative medicine; the near-endless cultivation of pluripotent embryonic stem cells without actually having to create an embryo by the traditional method alleviates a tremendous amount of the ethical burden. Importantly, the lack of a trophoblast makes it physiologically impossible for the embryo to implant and grow in the womb; thus, it has not life potential. It is also important to note that by this method the pluripotent cells created are simply harvested as they grow, leaving the overall embryo structure intact. This creates what is known as a “cell line,” where stem cells can be produced by and harvested from the same set of embryonic cells in perpetuity. However, there are some issues with this method that will prevent its wide applicability for at least the foreseeable future. Primarily, it is an incredibly labor intensive process to both transfer the nucleus and cultivate the cells, making any clinical application extremely expensive. Second, the system relies on donor eggs, which can range tremendously in quality. Thus the process would have to be repeated many times to ensure at least one creates viable cells. Finally, the discovery only demonstrates that the cells can be made. It does not make any comment on the effectiveness of the produced cells to form coherent, functional tissues or organs ready for transplant. In fact, we know little about this research beyond simply that it was successful in producing the intended cells; even that seems to be in doubt at the moment pending successful independent reproduction. It is safe to say that it will be a fair amount of time till these make it to the clinical arsenal, if ever since there are certainly other more readily available sources of the desired cells (albiet with much greater amounts of ethical and religious baggage). In short, it is definitely a positive step that overcomes a major hurdle in stem cell research, but still in the very early research stages. Only time will tell if it will truly live up to the tremendously lofty expectations. Thanks for the question, Will! As always, if you want to submit a question feel free to do so at the top of the page. Well, Sarah, before we dive into the complexities of leukemias, we should first introduce the various types and how they differ. 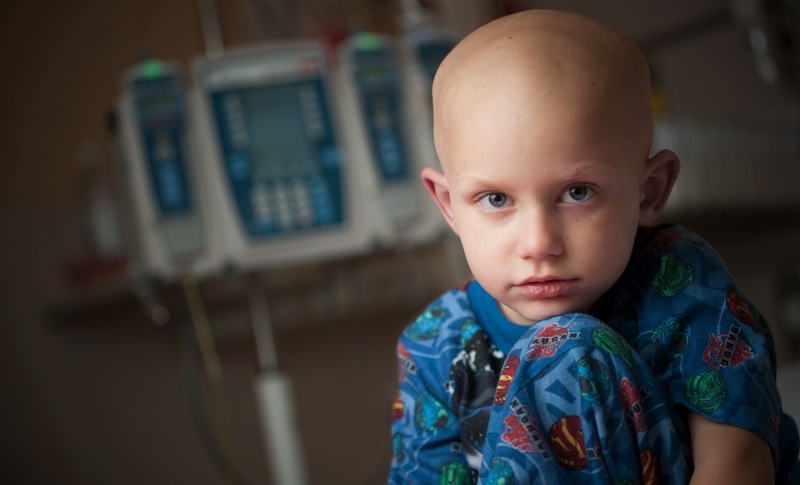 Generally, leukemia is a cancer of the blood that specifically produces too many immature white blood cells, known generically as “blasts.” Because these white blood cells are immature, they cannot function properly and effectively take up space, eventually preventing production and function of mature, life-sustaining blood cells. This is different from the similar sounding lymphoma, which also involves immune cells but can create solid tumors that usually occur in the lymphatic tissue and organs. The difference between them is not important for this discussion, but it is important that you know they are largely discrete diseases. Leukemias, like most cancers, happen due to a genetic predisposition or mutation. Sometimes, leukemias can be caused by exposure to chemicals or radiation, but most often are a result of a natural genetic alteration (birth defect, ie. Philadelphia Chromosome translocation, or acquired via viral infection, ie. Epstein-Barr Virus). Leukemias are divided into two major categories, acute and chronic. Acute refers to the fact that the disease comes on and progresses rapidly. Chronic, on the other hand, is the opposite. The disease may take months or years to progress fully. Either way, the abnormally high production of immature white blood cells is serious and left untreated can result in grave illness and eventually death. Acute and chronic leukemias are further divided into lymphoblastic/lymphocytic and myelogenous. Lymphoblastic/lymphocytic leukemias specifically involve the bone marrow precursor cells that produce lymphocytes, more commonly known as B or T cells. In practice, lymphoblastic/lymphocytic leukemias can develop into lymphomas, so the diseases do have a link. Myelogenous leukemias, on the other hand, involve the bone marrow precursor cells involved in producing other parts of the blood besides lymphocytes, which include other white blood cells, platelets, and red blood cells. Given the brief introduction in the previous paragraph, it should be fair easy to understand generally what is involved in each of the four. If you’re curious about a more in-depth explanation of each, feel free to view the sources at the bottom. On the whole though, each presents its own dangers and are each treated differently. On the topic of treatment, it is important that we understand that not all leukemias are created equal. Some leukemias have a nearly 100% survival rate, such as a subset of CLL known as hairy cell leukemia, while others require dramatic treatment measures to even provide a 50-50 chance at survival. Many leukemias can now be treated directly with drugs. CML, for example, is treated with a drug that targets the protein responsible for overactive production. This drug, imatinib (trade name: Gleevec), has turned CML from a slow death sentence into a chronic, manageable disease for a vast majority of patients. Likewise, chemotherapy is often successful for most AML, ALL, and CLL patients. However, a fair number of patients after initial successful treatment relapse and a minority of patients fail first line treatments like chemotherapy, radiation, and medications. These people are then treated with bone marrow transplants, which can come from relatives or unrelated “matches” from the general population. Bone marrow transplants are tricky business, primarily because they first involve the total destruction of the patient’s own bone marrow. Without bone marrow, the patient cannot create new blood cells, including red blood cells, platelets, and immune cells. Once irradiated, they reach a point of no return, so the donor bone marrow must be as close to a “match” as possible. I put match in quotations because no one from the general population, save for an identical twin, will ever have the same exact genetic markers necessary to prevent rejection. Interestingly and likely not surprisingly due to the genetic component, bone marrow donated from an identical twin was found to have a higher rate of relapse but lower mortality due to the lack of rejection. But for the rest of us, bone marrow must come from someone who is, by definition, genetically different. And so, rigid genetic testing is required before the marrow can be transplanted. This involves human leukocyte antigen (HLA) markers, ten of which have been identified as necessary for a true compatible donation. HLA markers are a type of major histocompatibility complex, which we have discussed before, and identify tissues throughout the body as “self.” The more matching HLA markers, the lower the likelihood of rejection or an adverse reaction. This is true regardless of transplant type, but is especially important for bone marrow transplants. Over time, however, relapses can happen even with bone marrow transplants. Sometimes the cancer is not always completely eliminated by the new immune system. If the cancer returns in a patient who has already received a bone marrow transplant, the options are more limited. DLI, or direct lymphocyte infusion, is one of the main options available alongside standard chemotherapy and redoing the bone marrow transplant. DLI puts more of the the same donor’s T-cells directly into the blood stream to take advantage of the graft versus tumor effect, which is a fancy way of saying cancer fighting capabilities. This is often a successful treatment, given that the graft is stable. However, there is the possibility of problems with the transplant in the first place. In this circumstance, one of two things tend to happen, graft rejection or graft versus host disease (GVHD). Graft rejection involves lingering patient immune cells recognizing the new transplant as foreign and attacking it. The risk of this can be significantly reduced with pre-treatment (chemotherapy, radiation, etc.) to thoroughly eliminate the original immune cells, but it still remains a distinct possibility following transplantation. This is a serious, often lethal, complication because the patient is left largely defenseless and without the ability to make blood products effectively. Graft versus host disease (GVHD) is a different, and in many cases not quite so serious, complication of the bone marrow transplant. It can also be induced through DLI because of the large T-cell infusion. GVHD involves the new immune cells attacking the patient’s tissues because the new cells identify the old ones as foreign or “non-self.” Essentially, GVHD flips HLA markers on their head: instead of the body attacking the transplant, the transplant now attacks the body. It often attacks the skin, mucosa, and GI system (liver and GI tract) , which can be severely painful and debilitating. Less severe versions of GVHD can be controlled with steroids, while more severe cases have shown to be responsive to injectable antibody medications that block the signaling pathways associated with the disease. New treatments for GVHD that doesn’t respond to steroids are being developed, but by and large the use of steroids or injectable antibody medications tend to successfully manage this complication. Hope this helped, Sarah. Thank you for sharing this deeply personal question. I highly recommend everyone join the national bone marrow registry at Be The Match. Five minutes of your time may save someone’s life. Hello readers! Sorry for the delayed post, been a hectic last few days getting my life arranged for my jaw surgery on Friday. This week’s question comes to Desiree, who asks “I’ve noticed I get sick more often when I’m really stressed about school. What exactly is happening that causes this and how can I avoid it in the future?” Well Desiree, I think most of us have experienced this phenomenon at one point or another. For some people, it can cause nastier problems than just more frequent colds. But, you’re spot on in your assessment that stress plays tricks on the immune system. Before we get to your question, we should first explore the relevant physiology of stress. This response, commonly referred to as “fight or flight,” is meant to save your life in the event of an imminent threat or direct attack. It involves many different body systems and is a truly systemic in its effect. The complex interconnectedness is beyond the scope of this article, but the following is the basic rundown. I highly encourage independent research of this topic for a more complete picture. The stress response is generated in the brain based on sensory input (ie. you see something scary coming towards you). The relevant signals are collected, processed, and travel to one or both of two locations. One is the locus coeruleus, which is responsible largely for initiating the stress response via production of norepinephrine in the brain. The other is the collective Raphe nuclei, which are responsible for, among other things, anxiety and are major serotonin producers in the brain. The subsequent release of neurotransmitters from one or both of these areas of the brain produce the stress response cascade throughout the rest of the body. The signal produced by the brain has two major parts. First, direct neurological stimulation of the adrenal glands produces adrenaline very quickly. Second, the neurological signal initiated in the locus coeruleus is translated into hormonal signal by the hypothalamus. This then affects the pituitary gland and causes the release of ACTH, or adrenocorticotropic releasing hormone. This hormone enters the blood stream and stimulates the production and release of cortisol into the blood. Together with norepinephrine, which is also released by the adrenal glands along with adrenaline, these molecules are the dominant effectors of the stress response across the body. These molecules also feedback with the brain structures that originate them, creating a very complex web of effects that are not yet fully understood (ex. cortisol has an effect on serotonin production in the Raphe nuclei). Adrenaline and norepinephrine (collectively a part of a group of molecules known as catecholamines) affect the sympathetic nervous system. It is not important to know what this is for the purposes of this discussion, just know it as one half of the body’s automatic systems. These molecules have a number of functions, namely opening the air passages, altering blood flow throughout the body, slowing digestion, and increasing heart rate. Many of the immediate physical effects you feel during a stressful situation are due to these because their release is much quicker than cortisol. This is also why adrenaline is used during anaphylaxis (allergic reaction), as it can open the narrowed airways and control the potentially deadly swelling. Cortisol’s role is much different. Like the catecholamines, its job is to keep you alive when fighting for your life, but by a vastly different mechanism. Instead of priming the body to fight or move, cortisol’s main function is to augment its ability to produce and release glucose into the blood stream. It does this by both encouraging the breakdown of more complex storage sugars as well as increasing the processes that convert other molecules, such as proteins and fats, into glucose (known as gluconeogenesis). In other words, it provides the fuel you need to do whatever is necessary to survive, via the slash and burn method if necessary. It also has some inhibitory effects on body systems unnecessary in the short term, such as bone formation. Unfortunately, another one of cortisol’s inhibitory effects makes it the focus of this discussion for the remainder: immune system depression. While it may seem counterintuitive to curtail the immune system when stressed, the reason for this is fairly simple once we understand the different nature of stress responses. The body has two basic types of stress: acute and chronic. Acute stress, caused by immediate stressors like being attacked or frightened, causes the release all of these molecules in tolerable amounts that temporarily empower us without a tremendous long term downside. Suppressing immune function in acute stress is smart because it holds off inflammation. As anyone who has injured themselves under stress can attest, function can be maintained through the injury until the stressful situation resolves. If the immune system were not held at bay during that time, the injury would quickly become immobile and hinder survival efforts. However, chronic stress, with which many in graduate school or in dangerous/busy professions are intimately familiar, tips this balance towards the negative. If cortisol levels remain elevated continuously, the effects on the body due to continued suppression can cause a myriad of problems, including more frequent infections. The immune suppressing function of cortisol has been utilized in medications for decades. Steroids (not the work out kind) such as prednisone and dexamethasone are commonly used in medicine to reduce inflammation, swelling, and the negative effects of autoimmune diseases. However, long term use of these drugs can have similar side effects as chronic stress. Thus, just as long term steroid use is often avoided due to its negative effects on the body, so too should chronic stress be avoided to prevent the same. Unfortunately, cortisol is a natural part of the body and to attack it pharmacologically could be disastrous. So, stress management techniques are key to controlling its release by controlling the stimuli presented to the brain. Exercising, meditation, massage, acupuncture and other similar activities have been shown clinically to be beneficial for stress reduction. Given that they have minimal downside and often benefit quality of life, they are also the most advisable methods of stress control. If these prove ineffective, low doses of anti-depressant medications that affect the serotonin and/or norepinephrine in the brain may be helpful for this purpose (as it already is shown to be for people with severe anxiety). Hope this helps, Desiree! Thank you for the question. As always, I encourage question submission via the link at the top of the page! Till next time, que le vaya con Dios. David DJ, et al. “Neurogenesis-Dependent and -Independent Effects of Fluoxetine in an Animal Model of Anxiety/Depression.” Neuron. 62(4); 2009 May: 453-455. Laaris L, et al. “Stress-induced alterations of somatodendritic 5-HT1A autoreceptor sensitivity in the rat dorsal raphe nucleus — in vitro electrophysiological evidence.” Fundamental and Clinical Pharmacology. 11(3): 1997 May: 206–214. Tsigos C, et al. “Hypothalamic–pituitary–adrenal axis, neuroendocrine factors and stress.” Journal of Psychosomatic Research. 53; 2002: 865 – 871. Valentino RJ, et al. “The Locus Coeruleus as a Site for Integrating Corticotropin-Releasing Factor and Noradrenergic Mediation of Stress Responses.” Annals of the New York Academy of Sciences. 697; 1993 Oct: 173-188. Welch WJ, et al. “Mammalian stress response: cell physiology, structure/function of stress proteins, and implications for medicine and disease.” Physiology Review. 72(4); 1992 Oct: 1063-1081. Before I begin, a big thank you to all of my readers. We are officially well past the 1000 view mark. Not bad for a blog only shared with my friends, family, and their friends! Before I launch into what I could find on the subject, I would first like to give some background on Bipolar Disorder, especially the symptoms and biological origin. Bipolar Disorder is one of the most well known mental illnesses, and over the years has held many different names. Many of you may recognize it as manic depression/manic depressive disorder or bipolar mania. Generally, people tend to understand it as a radical emotional shift: one moment someone is as happy as they can be and the next they’re in the deepest pit of despair. In fact, the term “bipolar” tends to be used informally to describe someone who is emotionally volatile or erratic. However, Bipolar Disorder is far more complicated than people realize. The main elements, mania and depression, have tremendous variability and can be punctuated with long bouts of seeming normalcy. Also, its source is often difficult to understand, as symptoms may manifest long before people experience their first “manic break,” or severe bout of psychosis where they break from reality. Distressingly, it is known to have a strong genetic component and heredity is not uncommon. The grey areas are vast, but generally begin with the concept of hypomania. A hypomanic state makes someone very high energy, restless, erratic, irritable, and easily excited and distracted. Often people in a hypomanic state have reduced inhibitions, an inflated sense of self, and cannot sleep well. These symptoms can progress in severity to the point where the person becomes entirely detached from reality, the aforementioned “manic break.” Though not all of those with Bipolar Disorder present with such severe symptoms, for some even a relatively mild hypomanic state can be life altering and require intervention. On the other side of the coin, as high as people can get in the manic state is how low they can get in the depressive state. It is almost the polar opposite of the manic state, including lethargy, loss of energy, disinterest in life, problems with concentration and memory, and even suicidal tendencies. However, it is not even essential to have them discretely or even at all. Some people can experienced mixed symptoms, where elements of one appear in the other type of episode. The main line treatment for this mental illness is a group of drugs known as “mood stabilizers,” of which lithium carbonate is one. The goal of these drugs is to control in some way the levels and/or use of norepinephrine (NE), a neurotransmitter that has far reaching effects in the brain; it is also deeply tied into the function and release of other neurotransmitters in the brain and around the body. NE especially influences general arousal (including fight or flight mechanisms), attention, and the reward system. Other more common antidepressants (SSRIs, SNRIs, etc.) and antipsychotics (sodium valproate, etc.) can also be used for control of less severe symptoms in either direction of the mood spectrum. Specifically, it is thought that the manic state is caused by a dramatic increase in NE, and the symtoms seem to correlate well with NE’s function in the brain. The depressive state, then, is the opposite neuro-chemical environment, where there is not enough NE to support normal mood. Unfortunately, it is not known by what exactly mechanism this process works and to what extent the changes in NE alter other neurotransmitter levels–the systems remain too linked to effectively show cause and effect. Even genetic analysis has not provided any greater answers for the biological source of the disease. Sadly, the reason for lithium’s effect is also not very well understood. For its anti-depressant qualities, two competing theories exist. Both affect signaling pathways far away from the release of neurotransmitters and instead focus on neuroprotective (brain cell protecting) mechanisms. In the first theory, lithium blocks an enzyme pathway responsible for ultimately allowing for the destruction of cells in a region of the brain known as the hippocampus. Damage to the hippocampus (as evidenced by reduced size) is known to be present in depression patients. In the second mechanism, lithium blocks an enzyme responsible for the creation of a cellular messenger known as inositol. Depleting inositol slows down the improper signaling between cells and prevents similar problems with the hippocampus. 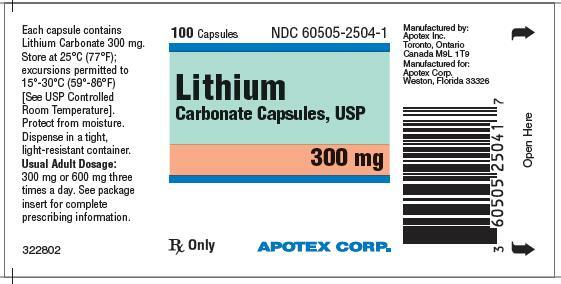 The mania is thought to be controlled by lithium’s effects of NE in the brain. Primarily, this is theoretically accomplished by binding to the NE receptor and reducing NE’s ability to bind to it. Secondarily, lithium encourages lithium to be taken back into the cell and stored in elements that are not involved in neurotransmission. Systemically, it is also thought that lithium causes increased release of acetylcholine in the blood, which can have a calming effect generally. Unfortunately, none of these mechanisms are definitively outlined and proven and thus remain difficult to target more specifically. Things are made much more difficult by the fact that a significant percentage of patients do not respond effectively to lithium. The unreliability makes it just that much harder to definitively prove a mechanism applicable to the disease biology as a whole. On the whole, it appears that the theories all seem to lay claim to some general alteration of neurotransmitters or signaling pathways, but without further in depth research the mechanisms will remain largely speculative. It certainly appears that Bipolar Disorder is complex disease that involves far more than just NE levels in the brain. Only time will tell exactly what these complexities are and hopefully will yield a more effective treatments. Hope this helps, Brock! As always, if you have any questions feel free to submit them directly. Till next time, have a good one! Well Alex, sorry to hear about your issue. Drug interactions are unfortunately very common in healthcare. For example, according to the FDA, adverse interactions represents about 3-5% of the adverse drug reactions in hospitals nationwide. The numbers of drug interactions only continue to rise along with the numbers and types of new drugs entering the market. This is further complicated by interactions with metabolites, or chemicals the body creates as it tries to break down the drugs. A given drug can have a variety of metabolites, all of which could potentially interact and cause an issue. To make matters worse, it is often times difficult to predict how certain drugs will interact within an individual. This is especially true given that many individuals take multiple different drugs and supplements routinely. It is entirely possible that an otherwise stable pharmaceutical treatment plan can destabilize quickly under the acute strain of introducing a short term drug like a stimulant decongestant. This is why I personally try to limit the number of pharmaceutical drugs I use at any one time, as increasing the number of drugs dramatically increases the risk of having an interaction occur. Unfortunately, due to the complexity of the interactions, it is hard to say from this vantage point what exactly caused your issue. However, we can certainly take it as a case study for understanding drug metabolism and how adverse interactions occur. Drugs may enter the body by a variety of routes, most of which are familiar (swallowing a pill, shot in the arm, IV line, rectal suppository). Regardless of the route, the goal is to get the drug into the blood stream. 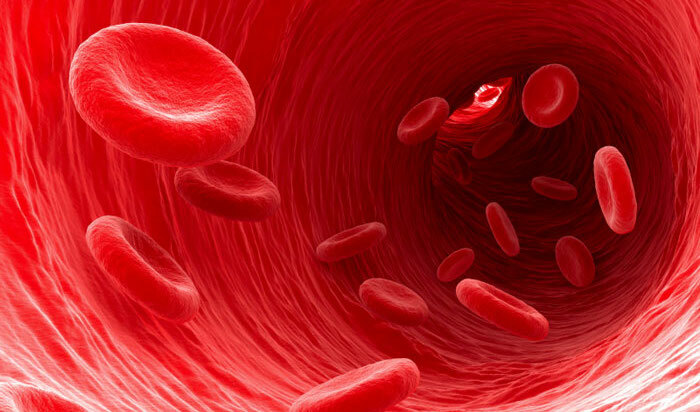 Once the drug enters the blood stream, it circulates in the body and is eventually metabolized. The body metabolizes the drug to change it into something more easily excreted or made harmless; even if a drug is useful for a therapeutic purpose, the body still needs to clear it out or else it may build up in the blood stream and become toxic. The body metabolizes drugs and their metabolites primarily in the liver, though there are other locations which also have more limited detoxification ability. In the liver, enzymes known as cytochromes have the most dramatic effect on drug metabolism, in particular the cytochrome P450 family of enzymes. These enzymes oxidize organic molecules (repeated oxidation progressively makes them more water soluble and less toxic until they can be more effectively excreted by the kidneys or in liver bile) and are present throughout the body inside of nearly every cell. The liver cells, as you might imagine, contain the highest concentration of P450 enzymes. The reason for this is that the liver receives all of the blood directly from the digestive system, so it needs to have a high level of detoxifying power to clean the blood before it moves on to the rest of the body. P450 enzymes vary tremendously and are large in number; we know of 18 families and 44 subfamilies of P450 enzymes currently and that is hardly a comprehensive list. Many of them are very specific to certain molecules or parts of molecules, while others are less discriminating. CYP3A4, for example, is one of the most common P450 enzymes in the body and metabolizes over 100 different drugs, including a variety of antibiotics, blood thinners, chemotherapy drugs, steroids, and blood pressure medications. It is induced (made to work better) by over 10 medications, which can cause abnormally quick clearance of the necessary drug and a loss of potency. It is also inhibited by over 30 different compounds, many of which are different classes of the same types of drugs which it is actively responsible for metabolizing. Shockingly, one of the more potent inhibitors is grapefruit (yes, of breakfast fame), which can lead to many unintended consequences. As it relates to potential overdoses, we will focus directly on the inhibition of P450 enzymes. As one can plainly see, CYP3A4 alone presents a major pathway for drug interactions as one drug may either inhibit the enzyme or outcompete another drug for access. Multiply that a long a very long list of P450 enzymes and we end up with a nearly inexhaustible list of potential interactions. So why are we not all dropping dead once we start taking multiple drugs at once? The main answer is that pharmacists are diligent in discovering interactions and tracking them for patients (if you get your drugs through the same pharmacy, odds are they screen what you’re taking before they dispense it). But when this doesn’t happen, from what I can tell, the reason is that we have such a variety of P450 enzymes that even if one is taken, odds are there is another capable of picking up the slack. And even if this happens to not be the case and the exact same P450 enzyme is needed, few drugs have a therapeutic dosage that is even remotely close to the toxic dosage. Thus, they can afford to hang out for a bit and likely won’t cause much in the way of damaging side effects. However, some drugs are incredibly dose sensitive and can have dramatic effects on the body with even small increases in blood concentration. Chemotherapy drugs, for example, are specially prepared and dosed to balance their damaging effect on the body and their ability to fight cancer. Even a small alteration to this balance could have dramatic effects on the patient’s health and treatment outcome. Likewise, some antidepressant medications can have a narrow dosage range that balance potentially dramatic side effects with their intended effects. One antihistamine drug particularly tied to CYP3A4, terfenadine (brand name: Seldane), can cause a potentially fatal heart arrhythmia (abnormal heart beat) when CYP3A4 is inhibited. With the enzyme inhibited, terfenadine soon reaches toxic concentration and has dramatic cardiotoxicity (heart toxicity). This effect led it to be removed from the market and replaced with the metabolite created from it by CYP3A4, fexofenadine. This drug is currently on the market as the allergy pill Allegra. In this particular case, an otherwise safe drug is brought to toxic levels by another drug metabolized by that same cytochrome. In this way, an overdose can occur unintentionally simply by mixing the wrong group of medications. Even many herbal remedies, such as St. John’s Wort, can have a negative effect on P450 metabolism. St. John’s Wort, specifically, enhances P450 activity and can cause certain medications, such a hormone birth control pills, to not work. Unfortunately, a reaction like this between the medications you were taking is likely what happened to you, Alex. In order to avoid problems like this in the future, I would suggest you consult a pharmacist directly and openly about potential drug interactions before buying over-the-counter or prescription medications and herbal remedies. Pharmacists are specially trained in this type of thing, far more than the prescribing doctor would be, and many times a consultation with them is free with your prescription. They can do everything from alert you to different possible side effects to calling the doctor for you and requesting a different medication. Hope this helps, man! Thank you for the question. As always, anyone and everyone can submit a question by going to the submission tab at the top of the page. Until next time, peace be the journey. Hello readers! Sorry for being a week late with a post. Last week got a little hectic and I didn’t have a chance to sit down to write it. Let’s first start with what causes the disease. 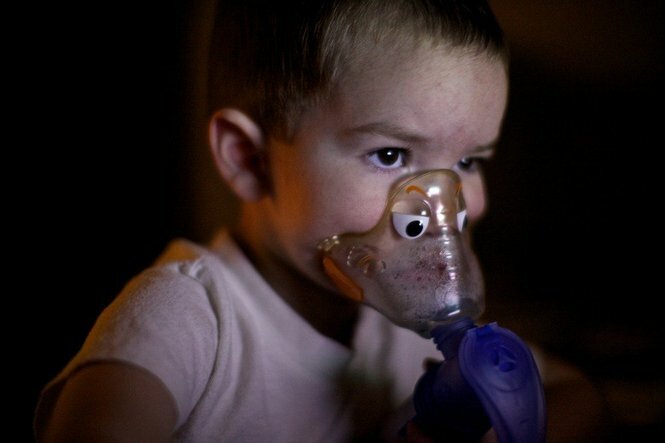 Cystic fibrosis (CF) is a autosomal recessive genetic disease, which means that both the mother and father must either have active CF (two copies of the mutated gene) or be carriers (have one functional copy of the gene and one CF mutation) to even have the possibility of creating a child with the disease. Carriers do not have CF symptoms but when paired with another carrier can have a 25% chance of creating a baby with CF. Like with many genetic diseases, one would think that the odds of two people being carriers coming together at random would be fairly low, but that is sadly not the case for CF. Roughly 4% of the Caucasian population worldwide have active CF or are carriers, and smaller but still significant percentages of other races also have the mutation. This makes CF a major disease affecting the western world, most especially in Europe. The mutated gene in question codes for the CFTR, or cystic fibrosis transmembrane conductance regulator, protein. While the specifics of this protein are not important, what is important is what it does. the CFTR protein controls the concentration of ions in mucous and other secretions. The most important ions in question are chloride (Cl-) and sodium (Na+), though others such as thiocyanate (SCN-) and iodide (I-) also play a role. The ability of the body pump these ions into and out of its secretions is what determines its viscosity (by the transport of water based on osmotic pressure– the greater the number of ions present, the more water will want to travel to the mucous). Because the CFTR protein is mutated, the secretions become extremely thick and sticky by virtue of dehydration. There is some debate as to the exact mechanism of this dehydration, but for these purposes the exact mechanism isn’t important. While it may seem on the surface to be fairly manageable, since to many mucous only exists in the nose and throat, the reality is much more sinister. CF affects many different body systems. Let’s run through them briefly. Respiratory system (lungs and sinuses): Mucous, as we all know from being sick, is a vital part of the body’s immune defense. Mucous in the nose, sinuses, throat, and lungs capture and expel (via little moving fingers called cilia) particles, fungi, bacteria, and viruses that could otherwise take root and damage the sensitive breathing spaces. Unfortunately, because CF secretions are so thick, they are difficult to expel. That turns the mucous from a blessing to a curse by trapping unwanted organisms but then providing them a fertile ground to reproduce. CF sufferers are often very sensitive to respiratory illnesses, even ones not normally seen in otherwise healthy people since the thick secretions can allow normal bacteria to grow uncontrolled. These infections can progress to serious lung and cardiopulmonary (heart and lung system) problems after repeated infections. The sinuses also take a beating from chronic infections, including overgrowth of tissue (“polyps”) that reoccur frequently and chronic pain and sinus pressure. Digestive system: The thick secretions extend to the digestive tract as well. In fact, the term “cystic fibrosis” actually refers to scarring (“fibrosis”) and cyst (“cystic”) formation around the pancreas. The thickened secretions apply mainly to two digestive organs: the pancreas and liver. The pancreas is a key part of the digestive system responsible for breaking down food as well as releasing the hormones insulin and glucagon, among others. This scarring and cyst formation is due to a backing up of abnormally thick secretions from the pancreas (“digestive juice”); this process can be very painful and over time result in pancreatitis (inflammation of the pancreas). With the juice backed up, the ability to digest food properly is severely diminished (digestive juice helps break down proteins, fats, and carbohydrates), those with CF can suffer from malnutrition and vitamin insufficiencies. Damage to the pancreas can also cause CFRD, or cystic fibrosis related diabetes, due to the destruction of the insulin producing cells in the pancreas. The liver is the main detoxifying organ and excretes bile (via the gall bladder), which is use to help break down fats. In CF, the liver can excrete thicker than normal bile, causing a similar back up as occurs in the pancreas. In this case, cirrhosis (scarring) of the liver can occur with the resulting loss of liver function. Thick mucous along the interior of the intestines can also causes feces to travel more slowly, which could possibly result in an intestinal blockage. But, the primary digestive consequences arise from damage to the pancreas and liver. Other physical signs: One of the methods of testing for CF as a child is called the sweat test, which measures the ion concentration (saltiness) of the sweat. CF causes an abundance of salt (sodium and chloride together) in the sweat. Stunted growth due to malnutrition, including diseases associated with digestive vitamin deficiencies (ie. bone issues from lowered vitamin D, clotting disorders from lack of vitamin K, etc.) also frequently occurs. 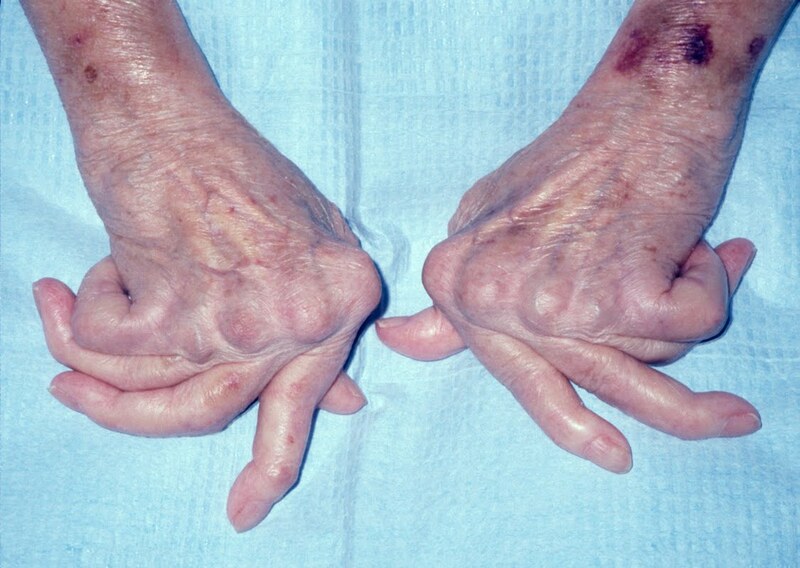 Clubbing of the fingers, which is common in lung diseases where oxygen intake is chronically low, is often present as well. Finally, sterility tends to be common amongst CF sufferers (though not universally) due to structural, nutritional, and/or secretory limitations. Granted, that list sounds pretty rough all together, and it is. But, luckily CF is not one mutation but rather a collections of various mutations across a spectrum. Some are more severe and affect more body systems than others. Some only have mild progressive respiratory involvement and some have wide ranging effects across the body. The most common CF mutation, known as ∆F508, accounts for roughly 70% of all CF cases worldwide. It has many of the signs and symptoms listed earlier, including sterility in males. But well over 1000 other mutations can cause the range of CF symptoms. For example, A455E is considered a milder form, with preserved pancreatic function and more slowly progressing respiratory symptoms. Each mutation represents a different change to the very long CFTR gene. Insofar as treating CF, there are a few angles being attacked in an attempt to resolve or work around the mutation of the CFTR gene. Some of them are mutation specific, some are more general. For example, a drug currently under investigation called Ataluren can help resolve mutations like G502X, which is what is known as a non-sense mutation (where a change in the code causes a premature stoppage of protein creation, resulting in an incomplete protein), by allowing the premature stop to be skipped. Because the code is otherwise intact save for the premature stop, the drug can allow theoretically for a functional protein to be created and the CF symptoms to be reduced accordingly. Another promising area is gene therapy. Gene therapy involves the use of a manufactured carrier virus that infects the target cells and replaces the mutation with a functioning version. This would theoretically be effective for all types of CF, though the nature of its delivery is limiting to its usefulness (ie. breathing in an aerosol only helps the respiratory tract). Time will tell if these types of treatments pan out. In the mean time, treatments are largely reactive and concentrate on thinning and expelling secretions, antimicrobial administration to fight against infection, and periodic surgeries to address blockages and any serious complications (ie. lung transplant). Clearly, more permanent solutions are necessary to truly treat the disease. Hope this helps, Steve! Thanks for the question! As always, feel free to submit questions you want answered! EDIT: A few people have let me know that there is a CF awareness walk happening in Huntington Beach on May 4. The event information can be found here. I encourage everyone reading this to donate and/or walk to show your support not just for CF patients but for all those struggling with genetic diseases. EDIT: It has been brought to my attention that the word “mutation” can be considered an offensive word when used to describe the source of a patient’s disease. I just want to let you all know that my use of the word mutation in this article is purely from a scientific stand-point and not in any way meant to offend or degrade the quality of people afflicted with genetic disorders. Every single person on this planet has genetic variations, some small and some very big. This article is meant to spread knowledge and awareness, not single out any particular group as different or somehow unequal. This week’s question comes from my dad, who asks, “I watched a 60 Minutes segment once on prosthetics people could control with their thoughts. How do those work exactly?” The 60 Minutes segment he is referring to, to catch everyone up, can be found here. As a short run down for the lazy (aka just about everyone), it shows two different types of patient-controllable prosthetic limbs. The first involves a patient with a condition that causes total loss of muscle control, making her effectively paralyzed save for her ability to speak, breathe, move her head, and talk. They implanted electrodes directly into her brain that were able to control an external arm. With some practice, she was able to do complex movements like feed herself and give a handshake with the device solely by virtue of her thoughts. The second involved a man who lost his lower arm and hand. His prosthetic was directly connected to his stump and was able to interpret the existing nerve signals traveling through the upper arm into a usable artificial limb. Some background on the recent evolution of prosthetic limbs: As we (hopefully) all know, the wars in Iraq and Afghanistan have created thousands of wounded veterans, largely due to the use of improvised explosive devices (IEDs). Many have lost one or more limbs due to these combat injuries. As time passed, it became strikingly clear that the existing prosthetic limb technology could not fully rise to the occasion of rehabilitating these wounded warriors, especially those who were otherwise healthy save for a missing limb. Technology progressed significantly due to this demand, even creating prosthetics durable and functional enough to allow some to return to full active duty. 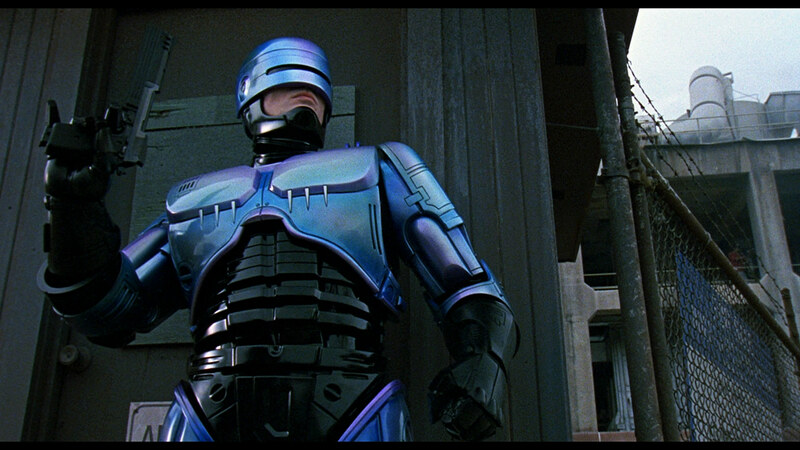 Yet, these prosthetics are still dumb, disconnected from the conscious will of the user they were created to help. However, as the 60 Minutes segment displayed, we have reached the point where prosthetics no longer have to be dumb. While still very experimental, we have conclusively shown we can bridge the gap between the nervous system and external electronics. Now, let’s explore a little of how the two types work. The first one shown in the segment involves direct brain control of an external machine. Use of the machine is made possible by the adaptive nature of the brain; so long as the part of the brain responsible for generating movement signals remains intact, even otherwise paralyzed people can theoretically utilize this technology as if their appendage still worked. The insertion of the electrodes directly into the brain bypasses the otherwise useless nervous system that does not transmit these signals to the rest of the body. The area of the brain involved in this process is known as the primary motor cortex. The primary motor cortex is the part of the brain involved in creating the impulses that eventually lead to voluntary muscle movement. The cortex itself is arranged in a predictable manner that effectively replicates the anatomy of the body (though distorted), which is known as a homunculus. 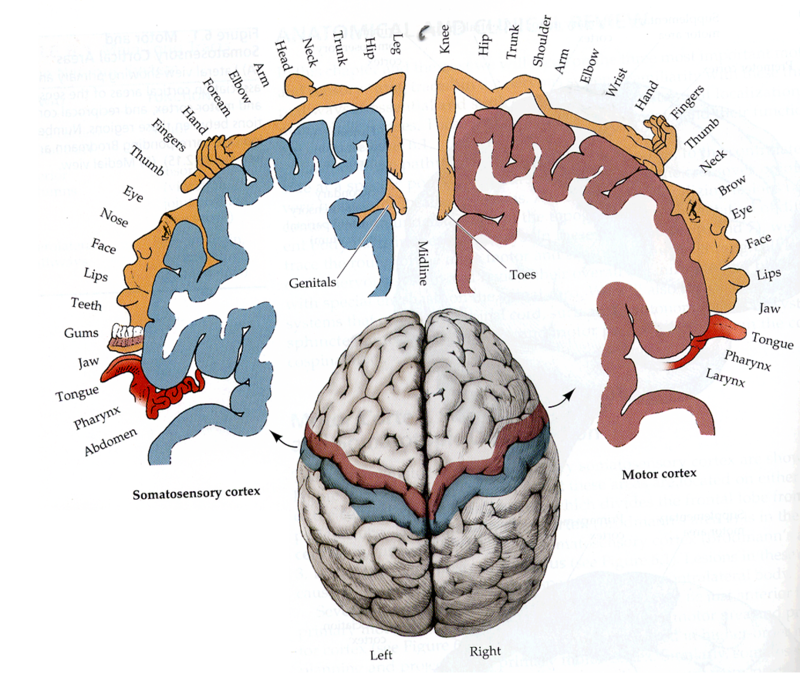 Below I provided a picture of where the primary motor cortex is and how the homunculus is organized across it. 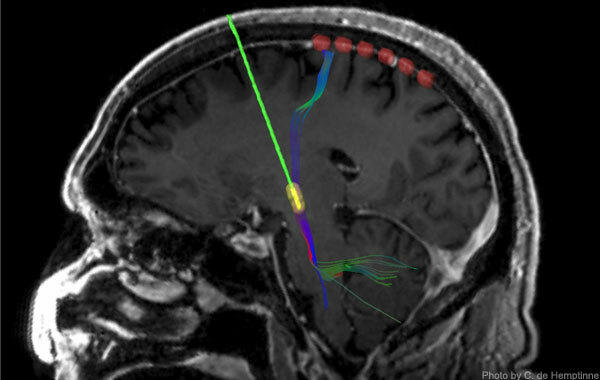 From there, electrodes are implanted on or within the cortex itself within the relevant area (ex. to control an arm, electrodes would be placed in the part of the cortex involved directly in arm movement). Schwartz, et al., describe this process in much more detail in their 2006 article “Brain-Controlled Interfaces: Movement Restoration with Neural Prosthetics.” The differences between the implants are not particularly important for our purposes (though it is an interesting read). What is important to understand is that these implants are able to read the electrical signals put out by relevant brain cells and, through a computer, translate them to produce the intended movement in an external robot. Now, you may be wondering how the brain could possibly do this if it is cut off from the sensations it would otherwise receive from its original limb. In other words, in the absence of feedback, how does the brain know what to do? The answer is, the brain is incredibly adaptable and is capable of utilizing other senses, primarily vision, to try to bridge the gap. But, as one might imagine and the video shows, this process is far from perfect. Even with tremendous practice and constant coaching, the brain-machine interface can still be very clumsy. But why is this the case if we’re directly tapping into the area of the brain responsible for movement? Refer back to the photo of the primary motor cortex for a moment and notice what lies right beside it. Yes, the somatosensory cortex, which is the area where your brain processes the physical sensations it receives back from nerves throughout the body. We may be reading the signals the brain is generating for movement, but we are currently giving it nothing back about the results of that movement. Thus, our movements are restricted to a certain extent because we’re operating a numb arm. If you’ve ever tried to move anything numb, you probably quickly realized you can’t accurately discern how hard to grip something, the existence of small objects, or how to execute fine actions. The brain needs feedback in order to best instruct movement. Given that we can currently read and translate motor cortex signals, it is only logical that the next step is to complete the circuit and return sensation signals from the prosthetic back to the sensory cortex. If we can accomplish this, the capabilities of the external prosthetics should dramatically improve. But, what about people who are otherwise fine but are just missing part of a limb? Should they be forced to endure a serious brain procedure in order to reap the benefits? The answer, as I mentioned earlier, is no. These sorts of prosthetics, which have much wider applicability than the brain implants, utilize a totally different technology to achieve a similar goal. When a limb is amputated, the nerves serving that portion of the limb still exist above the amputation, which means that the signals originating from the brain and going back to the brain still make a full transit. The signal just doesn’t travel past where the limb no longer exists. But, this does not mean that the signal originating from the brain does not contain information capable of moving said non-existent limb (the homunculus in the motor and sensory cortices don’t normally rearrange in response to an amputation). Should something else be there to capture and utilize the information, it could be moved just the same as if the original limb remained. Unlike with the brain implants, these types of prosthetics are non-invasive. Instead, they read the nerve impulses via surface electromyography. Electromyography reads the electrical impulses generated by individual nerves by examining the firing of reference muscles. Surface refers to reading these signals through the skin, rather than directly in muscle tissue using needles. These signals are then interpreted by computers attached to the prosthetic device and translated into the appropriate movement. This method is extremely versatile and has been applied widely across different types of limbs with promising results. Likewise with the brain implants, sensory feedback is proving to be an essential component of improving the functionality of these devices. Current systems use vibration against the existing skin proportional to the amount of force being applied by the prosthetic. While this has helped, there has, as of yet, not been a significant breakthrough in transmitting accurate sensory data through the skin in a non-invasive way. In summary, either type of prosthetic achieves its goal by reading nerve impulses and translating them into an external action. This area of biotechnology remains an exciting and quickly advancing field. It is well within our grasp to soon have the ability to effectively return amputees to their every day lives with minimal limitation. Hope this helps, dad! Thank you for the question. As always, anyone can submit a question either directly through this site, directly to me, or via Facebook. Thanks to everyone for reading and keeping up with this. We’re closing in on 1000 views! Crazy. Till next time, that’s all she wrote. Cipriani, et al. “On the Shared Control of an EMG-Controlled Prosthetic Hand: Analysis of User–Prosthesis Interaction.” IEEE Transactions on Robotics. February 2008. Georgopoulos, et al. “Neuronal population coding of movement direction.” Science. September 1986. Schwartz, et al. “Brain-Controlled Interfaces: Movement Restoration with Neural Prosthetics. : Neuron. October 2006.